V detailed and Bloody Palace Mode due out post-release. 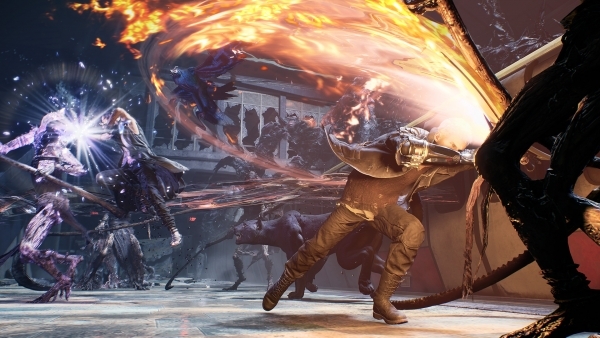 Capcom debuted a new trailer for Devil May Cry 5 at The Game Awards 2018, as well as announced new information including an Xbox One-exclusive demo due out on December 7, how new character V plays, the return of Bloody Palace Mode, and an online cooperative mode. Book and cane in hand, this slender man appears covered in impressive tattoos. 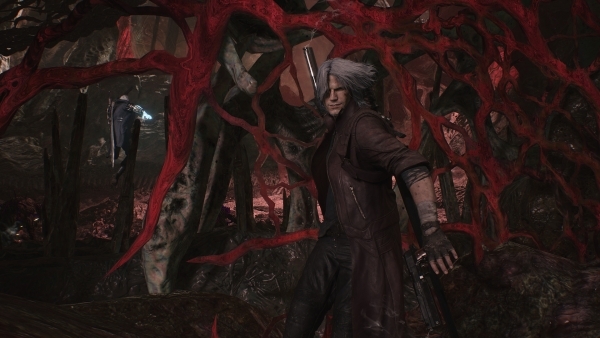 Before chaos fell upon Red Grave City, he sought out Dante through the information broker Morrison and tasked him to subdue a certain demon. 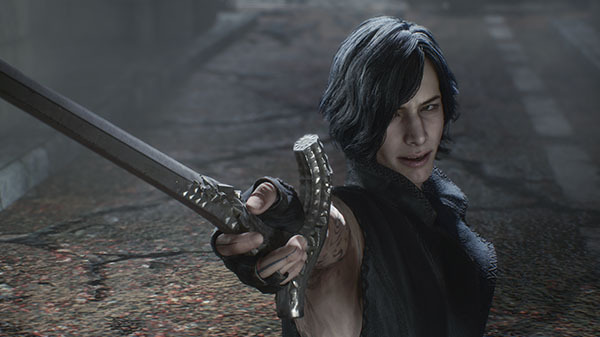 V lacks the power to fight himself, instead relying on three demon familiars to take the offensive in battle. 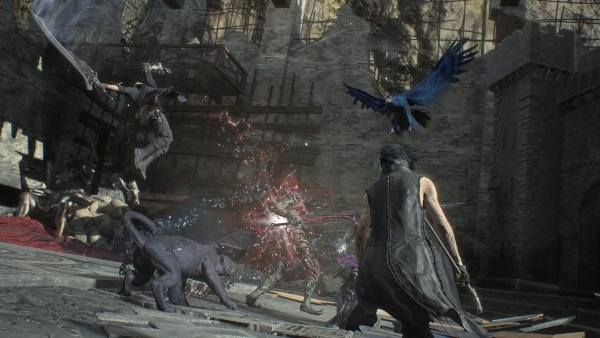 V’s combat potential is practically nonexistent, so he relies on these demons to lay waste to his foes—Shadow for close combat, and Griffon for ranged attacks. 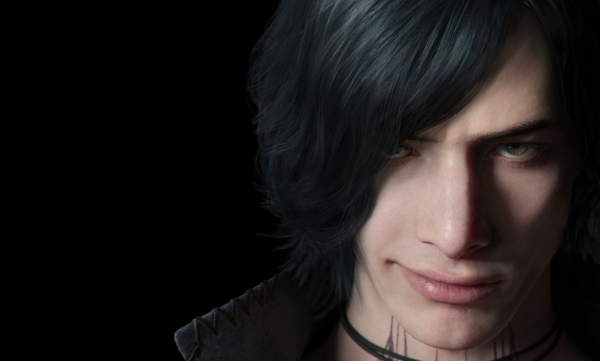 Once these two lay on enough pain, it’s up to V to put his enemies to rest with his trusty cane. Shadow: This demon familiar usually takes the form of a quadruped beast, only to shapeshift into blades, needles, and all manner of nasty weapons to act as vanguard. 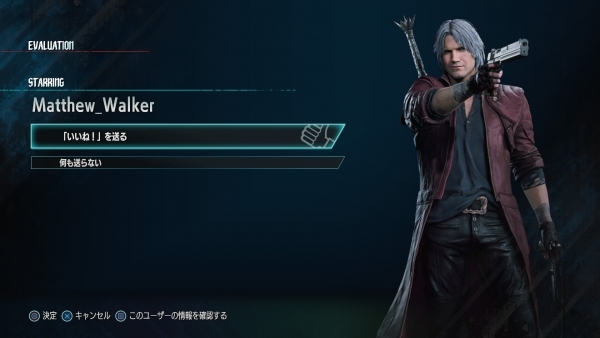 Through Shadow, V can also move at faster speeds than normal. 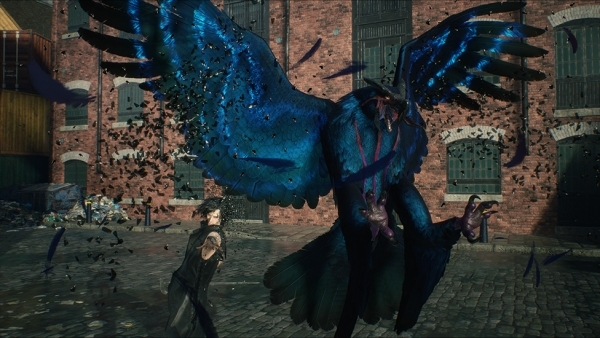 Griffon: This avian monstrosity can always be found somewhere around V, usually flapping its beak with some inappropriate jab. Griffon brings the thunder with electrified long-range attacks, or can give V a lift if close by. 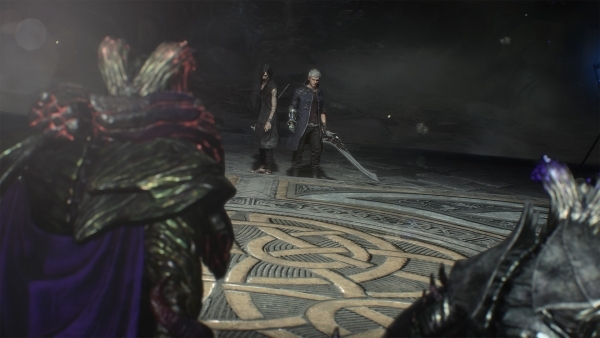 V can unleash his full power to call upon this gargantuan demon. When summoned, Nightmare may crash onto the battlefield like a meteorite, or burst through parts of the environment to heed the call. Its sluggish movements belie unsurpassable strength and nigh-invulnerability. Wherever Nightmare appears, its massive fists or brutal laser beams are the last thing enemies ever see. Destinies collide with the Cameo System! 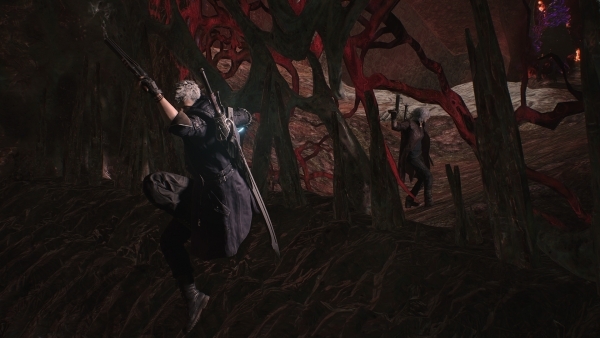 In Devil May Cry 5, the three demon hunters walk the road of carnage. 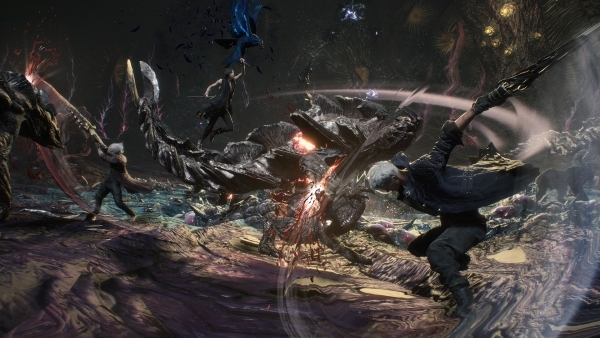 This battle holds many crossroads, some of which bring these hunters (and sometimes players) together. Encounter players from all over the world, even battle alongside them in this new form of online play. 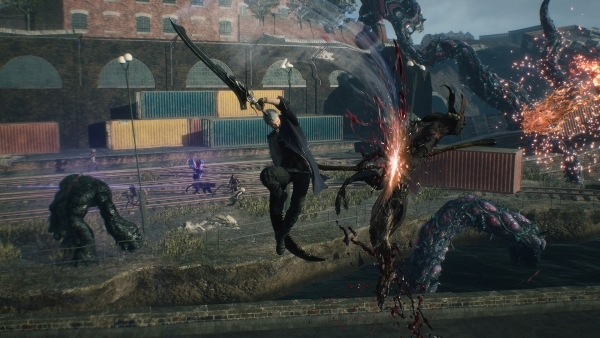 —During gameplay, players may sometimes observe their fellow Devil Hunters fighting in the distance. Such a sight might very well be another player connected online! 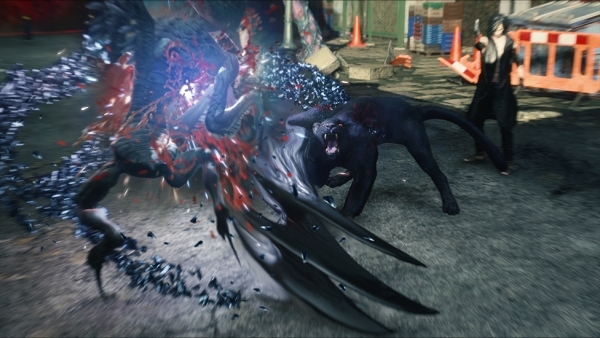 —Some missions may even have you and other players fight side-by-side. You never know who you’ll meet, so make it count! —Names of encountered players will appear as special guest stars, and you can award “Stylish!” ratings to them for stellar gameplay. Rack up enough “Stylish!” ratings to get your hands on some Gold Orbs**. 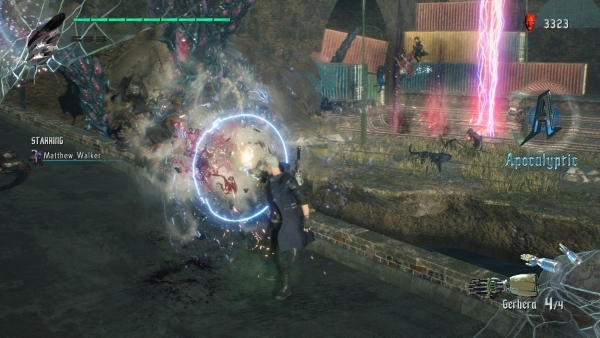 Move the camera freely to capture your favorite DMC moments. Take shots of beautiful backdrops, cool characters or blood-pumping brawls to show the world your eye for the incredible. Train in the infinite abyss. Polish your demon-slaying skills in this special pocket dimension. Choose from any of the foes or weapons unlocked in the main game, set specific parameters, and practice your craft to your heart’s content. A test for the mighty? Or penance levied upon those who hunt devils? In April 2019, find out for yourself in a free update!